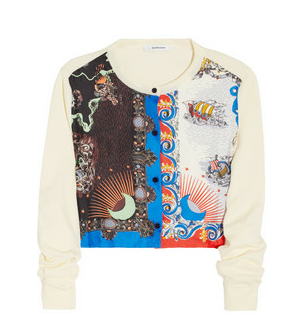 I may die if I don't own this Carven cardigan!! I love its print, reminiscent of pirate maps of yore. Originally $290, it's on sale for a totally reasonable $116 at theOutnet.com! Should I get it? ?